Shopping center Alegro Alfragide wins Solal Marketing Awards 2018, considered in the sector, the Oscar of Shoppings. The award, included in the category "Emerging Technologies", officially distinguished the PARTTEAM & OEMKIOSKS self-service kiosks, implemented by Levoo. This global benchmark distinguishes best practices in the retail sector. 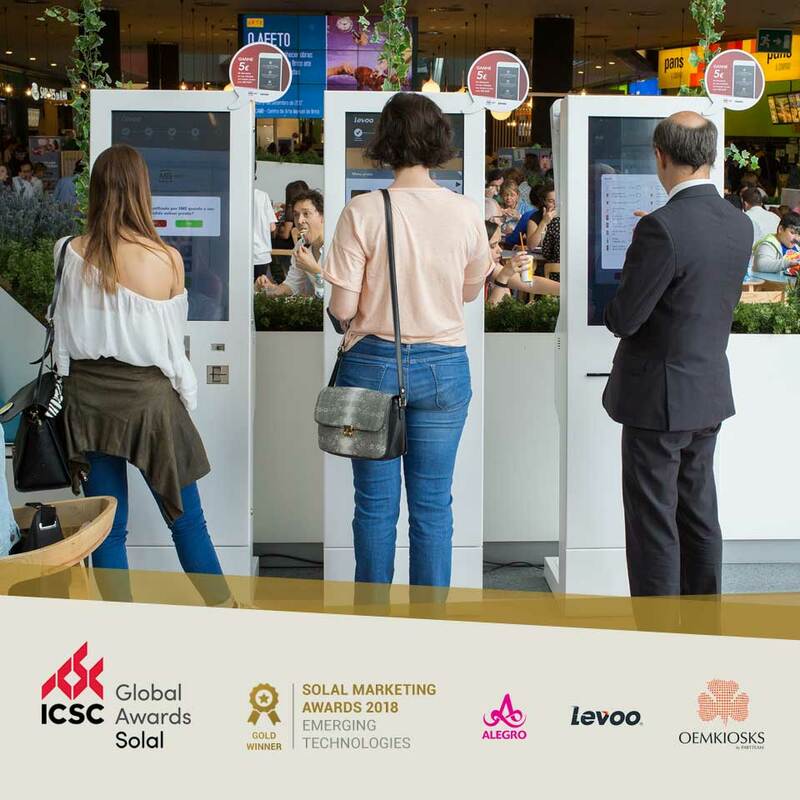 Recognizing this year, for excellence of results and innovative character, the implementation of six self-service kiosks in the restaurants zone of Centro Comercial Alegro Alfragide. This is a relevant project which proudly uses the self-service digital kiosks, developed and supplied by PARTTEAM & OEMKIOSKS, project developed by Levoo. The result is a service of outstanding quality, combining the implementation of innovative and internationally recognized software with the technological excellence, reliability and guarantee that only PARTTEAM & OEMKIOSKS equipment can provide as a leading company in the sector. 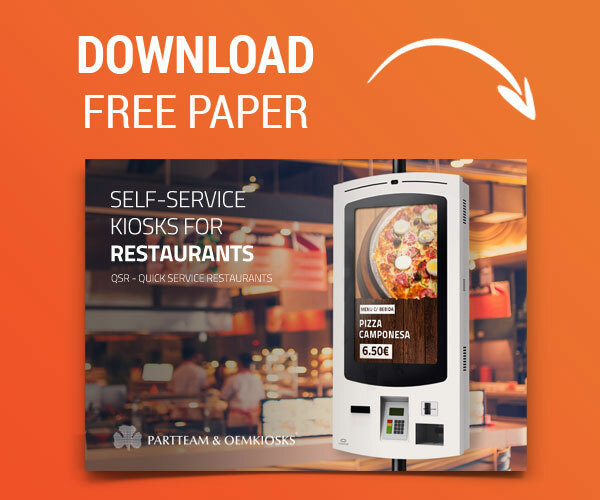 A well-deserved recognition, which emphasizes the dynamics that self-service kiosks provide in the restaurants areas, increasingly affirming themselves, as an integral and fundamental part of the future of Shoppings, in all its aspects. Emphasizing its advertising, informative and innovative influence that improves the consumer experience. Consumers benefit from a faster and more personalized service, while shoppings become more intelligent, sustainable and dynamic spaces, adapted to consumer trends.